The Hostess of the Month Club is the perfect way to keep your Jamberry collection stocked up for the year, by receiving one new wrap of your choice per month every month for the year. By joining the club, you are also guaranteed hostess rewards for one month too, which means bonus goodies just for being involved. Each month you will receive one Jamberry nail wrap sheet of your choice to start building your collection. This will on average give you 2 manicures, 2 pedicures and several accent nails. 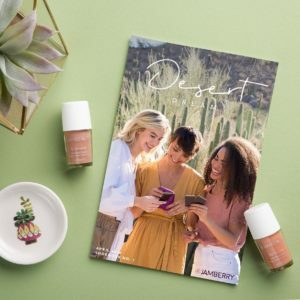 Each participant will receive a welcome pack with a catalogue to help you choose your monthly wraps and a mini accent and application kit upon joining the club. You will have access to a private Facebook group where there will be tips, updates on new products and specials. This also makes it easy to keep in contact with you for monthly orders and payment reminders. Your wrap and any other products you order at the same time will receive free postage. Birthday bonus – make sure you let me know your birthday so I can send you a Jamtastic gift! One month you will receive all the hostess rewards to redeem on any products you please and you have the opportunity to collect more orders to make your rewards even higher. And best of all… being a member of the Hostess of the Month Club means a whole year of fabulous nails! Each month you place an order directly through me for one standard wrap – this can include any of the catalogue wraps or limited edition and seasonal wraps that are priced at the standard $22. Payment and order is required by the 20th of the month. During the 12 month period, each club member will have the opportunity to have one month as the ‘hostess of the month’ receiving all of the hostess rewards you would normally get from a 150 point party. This means party benefits minus the need to host an actual party and a year supply of Jamberry wraps straight to your door! CAN ANYONE JOIN THE HOSTESS OF THE MONTH CLUB? The Hostess of the Month Club is open to Australian residents only at this time due to postage costs and restrictions on parties held for hosts residing in different countries. WHAT HOSTESS REWARDS WILL I RECEIVE? If you choose to collect extra orders during your hostess month, or hold an actual party concurrently, the total orders will be added to boost your rewards. So far none of my hostess of the month rewards have been below a 250 point party so that means even more rewards for you! CAN I ORDER MORE THAN ONE WRAP EACH MONTH? Yes. 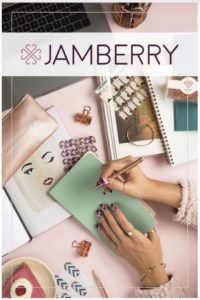 You can order as much as you like, including any of the Jamberry products, with your monthly wrap. So long as the order is placed together, I will ship your entire order for free. This is a saving of up to $8.95 per month. CAN I COLLECT BONUS ORDERS WHEN IT IS MY TURN TO HOST? Yes! In fact, I encourage you to do so because the higher the orders, the more rewards you will receive during your hostess month, so be sure to ask your friends and family if they would like to order too. Their order can be shipped to you as well if convenient. Credit card, Paypal or bank deposit. WHAT IF I CAN’T PAY ONE MONTH? Please, only join if you are sure you can commit to the $22 order each month. I understand “life happens” sometimes, so please contact me right away if you think you’re unable to fulfil your commitment for the month or if you need to withdraw from the club. CAN I RECEIVE A KIT CREDIT DURING MY HOST MONTH? Yes, if you collect enough outside orders during your month of hosting to qualify for a 25% or 50% starter kit credit, this can certainly be redeemed. If this is your goal, let me know and we can work together to help you achieve it. MY FRIENDS WANTS TO JOIN TOO – CAN THEY? If there is a spot free, YES. If not, they can go on the waiting list for the next available spot. If the waiting list fills up, I will start another club with all the same benefits. I currently have 2 running and would love to kick off a 3rd to spoil some more lovely ladies with jam goodies. Fill in this form to join the waiting list and I will be in contact very soon once we are ready to launch, to get you started as the newest and coolest club member in town! I am currently looking for participants for my second monthly club so be sure to invite your friends to join too! Are you ready to join the exclusive club & be rewarded?